Since its inception in 1926, Junior League of Montgomery (JLM) has awarded millions of dollars to various organizations in Montgomery. The Junior League is unique in that each financial award is accompanied by volunteers. This League year we are honored to work with the following community partners to whom we awarded a total of $92,500 in grant monies. 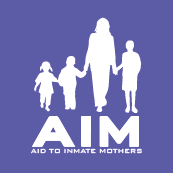 Aid to Inmate Mothers provide services to Alabama’s incarcerated women with emphasis on enhancing personal growth and strengthening the bonds between inmate mothers and their children. JLM member will assist with the Visitation Program to help maintain and strengthen bonds between inmate mothers and their children during these difficult years of incarceration. Chemical Addictions Program provides outpatient substance abuse treatment. Members will assist with Project Wings by renovating three rooms in the adolescent facility. ClefWorks provides the community with unique opportunities to experience Chamber music in casual, approachable environments and to promote the appreciation of this timeless, yet evolving art form. To help people of all ages, including children and youth, discover the power of music through innovative, educational programming designed to cultivate appreciation for the arts and humanities while fostering a sense of community among the performers and the audience, JLM members will assist during musical assemblies, with the Instrument Petting Zoo and during ClefWork’s Festival Week. Health Services, Inc. is a progressive healthcare organization specializing in innovative quality patient care, integrating physical, mental and social well-being. JLM volunteers will assist with HSI’s Children’s Literacy and Higher Education Program by stuffing backpacks with school supplies, reading storybooks to pediatric patients during story time to help increase cognitive development and assisting with planning and implementing their annual health fair. Hope Inspired Ministries serves low-skilled, poorly educated, and chronically unemployed men and women by helping prepare them to obtain and maintain employment. This transformative job training and life skills program elevates families and communities as it teaches the fundamentals of responsibility and character to the heads of households. JLM members will mentor students during lunchtime and provide a sounding board for women who are in transition. MAO provides medical care to those affected by HIV/AIDS. The food pantry, established by the JLM, is a nationwide model for how to incorporate nutrition into ongoing patient care by providing fresh and non-perishable grocery items to HIV/AIDS patients and their families on a weekly basis. JLM members will organize and distribute food from the pantry. Medical Outreach Ministries exists to minister to the physical, emotional, and spiritual needs of the medically uninsured by providing free healthcare services. JLM volunteers will assist with restructuring the organization’s waiting and patient intake area, as well as helping with their Welcome to M.O.M. program. 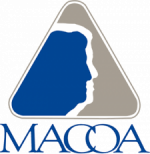 The mission of MACOA is to assist senior citizens by providing services to promote independent living by offering opportunities to enhance quality of life, and by increasing community awareness of senior issues. JLM is partnering with MACOA to prepare and package 3,200 frozen meals for their frozen Meals on Wheels program. MANE is a non-profit organization that provides safe and effective therapeutic horseback riding opportunities to Montgomery and Tri-County Areas to children and adults with emotional, physical, cognitive and developmental disabilities. JLM will support the organization’s At Risk Youth Therapeutic Riding Program. Members will serve as Horse Leaders, Side Walkers and Spotters during riding lessons for the students. Junior League members will help to improve the quality of Montgomery senior’s lives, by helping pack food bags each month for St. Margaret’s clients and assisting with their Zumba/exercise classes. That’s My Child mentors youth through arts, education and entrepreneurship, while giving them a safe place to develop their talents and learning new skills to become tomorrow’s productive citizens. JLM volunteers will assist teens in retrofitting a current thrift store into individual market places. 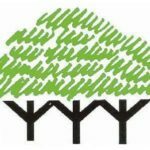 The Teen Market Place will proivde the youth an opportuity to showcase their artistic talents, an avenue to express themselves, and foster their entrepreneurial spirit.